One of the things I noticed that isn't really taught much is creating test suites for your programs. A lot of times you'll just have sample input and output to test your programs. This works great for one off applications but doesn't really carry over to on-going application development life cycle, especially when new developers are constantly being added to a project. You don't need any crazy library to do testing. In fact Python and Ruby come with their own testing libraries. I find it's always nice to use built-in library functions to achieve certain tasks. 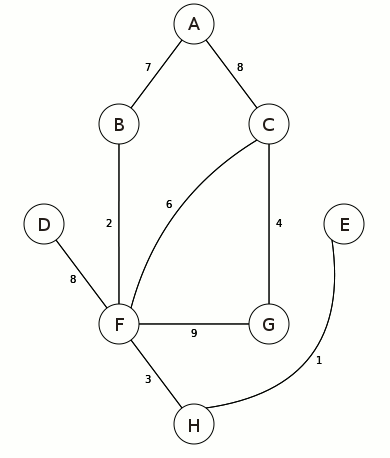 If you follow my blog you may have read my Introduction to Graph Theory article which has Python and Ruby code for Dijkstra's algorithm. If you're interested in other languages you can checkout the git repo. For the purposes of this article we'll be using the Python and Ruby implementations mentioned in the article. You can find somewhat updated versions in the git repos. The Python version has been updated to 3.x and both versions now won't print out shortest path solutions when tests are run. Outside of our initialize and to string methods we have two other methods that help us find the shortest path in a graph, add_vertex and shortest_path. These are the two functions we're going to write unit tests for. In case you're unfamiliar with the terminology, unit testing is a type of testing used for testing individual blocks of code such as a single function or procedure. There's no need to over think it. We're simply sending test values to a function to make sure we get back the result we expect. Our goals will be to make sure that when we add a vertex to the graph that all the edges are added properly, and that when we test for the shortest path we find it if it exists or not. Before we begin I just wanted to point you to the documentation for Python unit testing and Ruby unit testing. You shouldn't need them to get through this article but they do provide a lot of information about testing. Our first step is importing our testing library along with the Dijkstra's sample code. A common feature among unit testing libraries is to have a setup which runs before each test. This can be useful if you have a set of code that is used by many tests. For this set of tests we'll need our graph class for each test. So we'll create a graph object that will be created for each test. If you're here for Ruby you'll notice that the linked docs are for 1.8.7. This is because most of the example code has disappeared for future versions but the library pretty much works the same. Due to the sparse documentation of this library a lot of other third-party libraries have become popular such as RSpec. The Ruby examples I show will use the built-in library, but as a challenge feel free to install the RSpec gem and implement the tests for this code or from some of your other code. add_vertex is an interesting function because it has no return value. So we have a few options as to the approach we can take for this test. One option is to add a return value. However, it's not really clear what would be best to return. Perhaps the vertex, maybe all vertices, or just a true/false value. Another option would be to add a getter function to try and get the edges of a vertex that we pass to the function. This adds another point of failure into our program but is still a viable option depending on your programming style. My idea is to just access the vertices instance variable. This will allow us to see if our newly added vertex is in the graph. This is kind of like the getter method but without having to add a new function. The way unit testing works is you make a function call and check the value it returns against what you expect it to return. Usually you'll want to check if the returned value equals the value you expect. Most testing suites will provide a way to assert if something is equal or not. This is how we'll be testing if our vertices variable is equal to the value we expect it to be. You can see what a failed test looks like by changing one of the values in the expected clause. So if you change the value of C to 3 you should see an error message that tells you which test failed. It will also show you the returned value versus what was expected. This can be super helpful in debugging errors. Testing our shortest path algorithm is a little more straight forward since we have a return value. However, one thing we have to take in to consideration is the fact that we have two different return statements, one for when a path is found and one for when no path is found. This means we need to create two tests. Once again we have a couple of options as to how we can achieve this. One option is to create two test functions to test both return paths. Another option is to create one test but use two assert statements. Neither is really more correct than the other so I've chosen to use two assert statements inside of one test function. That's really all there is to unit testing. If you're doing web development definitely check with the framework you're using to see if they have a recommended testing suite. If you're rolling your own framework there are many testing frameworks that can help you out. Most of them will work the same from language to language. The Github repo for Dijkstra's algorithm has been updated with the newest testing code. Definitely feel free to check it out and make pull requests if you haven't already. Thanks with regard to publishing this type of excellent post! I discovered your site ideal for my personal requirements. It has fantastic as well as useful articles. Continue the great function! Remarkable content, decided in front of you and additionally book marked your blog post. Document can’t simply wait to read a great deal more right from you will. I have a high regard for your idea about the title so everybody wonders what the perspective is about. The apprehension was excellent but the article was not up to the score. Show your fan craze for the Doctor who jackets by ordering one today. Compare to other programs python and ruby are much easier and comfortable ones. You have explained the attributes of ruby and python in a well disciplined (http://www.4dglobalinc.com "4D Global Inc") manner. Thanks to you for sharing. This is one more awesome pages that i have visited. love you bro for the awesome opporutunity you have given me now. read your blog from time to time and i own a similar one and i was just wondering if you get a lot of spam remarks? Thanks for sharing the information. Check my website. f you have any feedback or questions feel free to drop them in the comments below or contact me privately on my contact page. Thanks for reading! Great post! I am actually getting ready to across this information, is very helpful my friend. Also great blog here with all of the valuable information you have. Keep up the good work you are doing <a href="http://www.euro2016live.org">euro 2016 live stream</a> Here. <a href="http://www.thediabetesdestroyerguide.com">Diabetes Destroyer</a> is an eBook written by David Andrews, that includes health tips on curing your type 2 diabetes naturally. <a href="http://www.thediabetesdestroyerguide.com/">Diabetes Destroyer</a> is an eBook written by David Andrews, that includes health tips on curing your type 2 diabetes naturally. <a href="http://thediabetesdestroyerguide.com/">Diabetes Destroyer</a> is an eBook written by David Andrews, that includes health tips on curing your type 2 diabetes naturally. Great post! Really appreciate seeing all of this information one place. <a href="http://bolapapa.com">Bandar Bola Teraman</a> Also, make sense about categories and tags. i am sure you going to enjoy the most awaited street fight upcoming game tekken 7 characters ,you will be amazed by <a href=" www.tekken7game.com/2016/08/tekken-7-the-story-line.html ">Tekken fated retribution</a>,the game will be going to release for ps4 soon. That is the content from your appeal. I prefer checking your website, I’ve read several of the content pieces on your blog, even follow this <a href="https://www.usacheckcashingstore.com/costa-mesa">https://www.usacheckcashingstore.com/costa-mesa</a> not to mention I prefer states it all blog page. I truly say thanks to the writer of the post, the content offers excellent importance personally, this simply prospects me personally to complete much better points with this existence. Really significant, thanks greatly. Right now follow-up [url=https://www.usacheckcashingstore.com/costa-mesa]payday loans[/url] wants a person pleased. I am so much excited after reading your blog. Your blog is very much innovative and much helpful for any industry as well as for person! Now follow-up <a href="https://www.usacheckcashingstore.com/carson">Check Cashing Carson</a> Thanks for nice content. TWO equally talented women, studying the same subject in the same university, ace their Master’s level course. One of them decides to become a primary-level teacher at a government school as she wants to teach children. The other decides to join the bureaucracy through the civil services examination. The teacher, even after 30 years of service, and only if she is lucky, will just about reach Grade 16. The bureaucrat, if she survives for 25 odd years, has a decent chance of reaching Grade 22. Even if the bureaucrat does not reach Grade 22, she will still retire in Grade 21 at the very least. I think your work will be useful to many people as well as work from <a href="https://essaysmasters.com/">essay master</a>. I like to see the work of professionals. I think your work will be useful to many people as well as work from https://essaysmasters.com/. I like to see the work of professionals. Really great post. I think it is very useful and knowledgeable. I would like to thank you for the efforts you have made in writing this article. <a href="https://www.yourselfquotes.com/happy-new-year/"> Advance Happy New Year Status </a> Thanks for sharing.